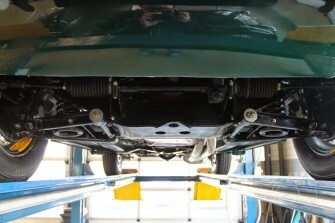 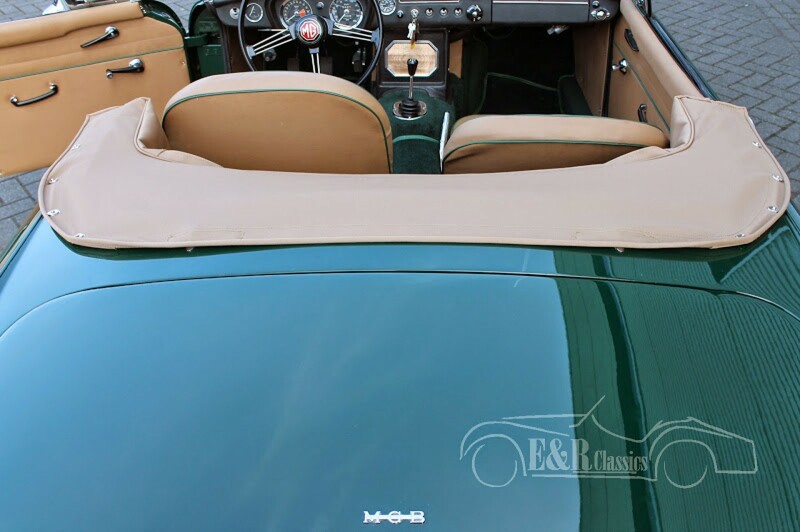 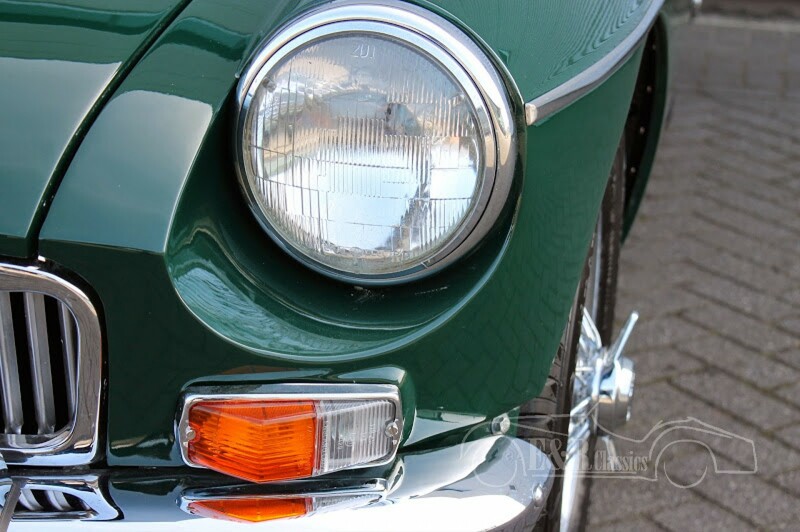 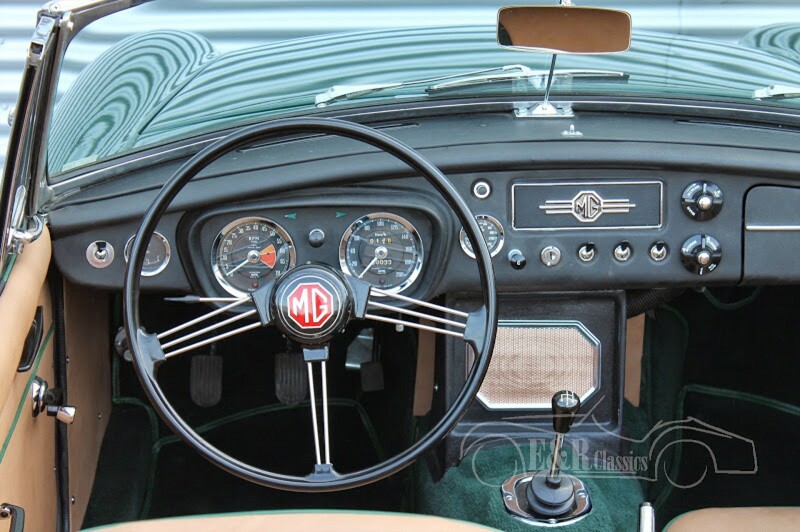 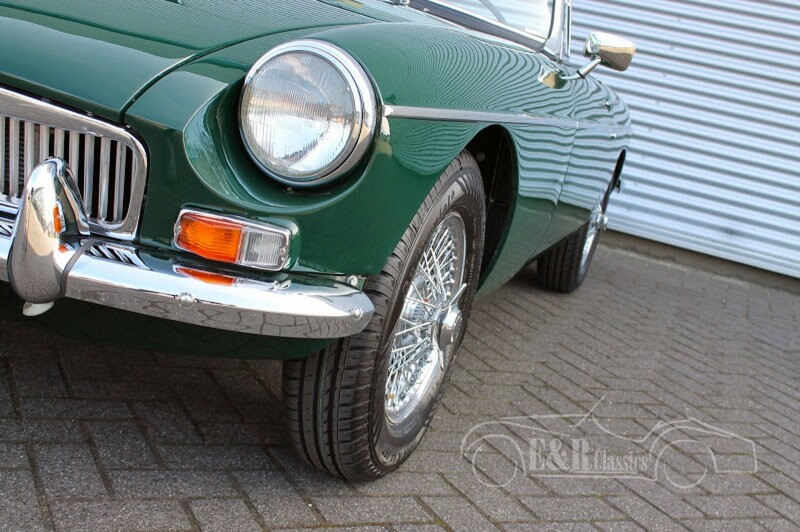 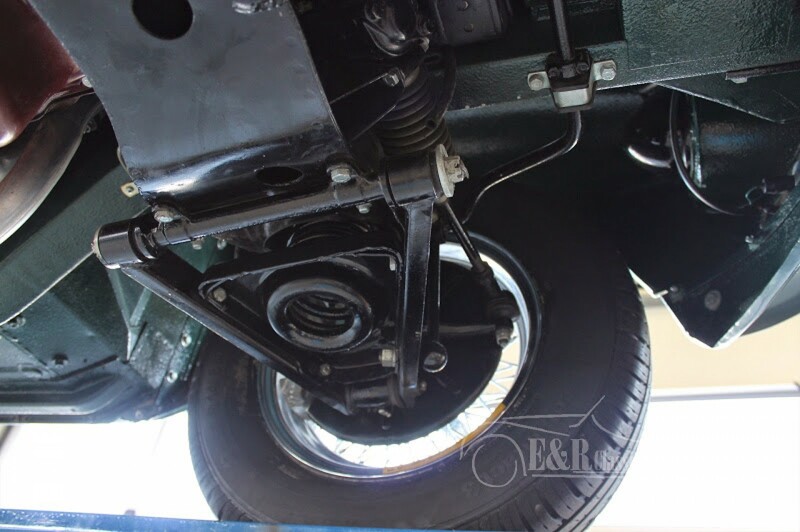 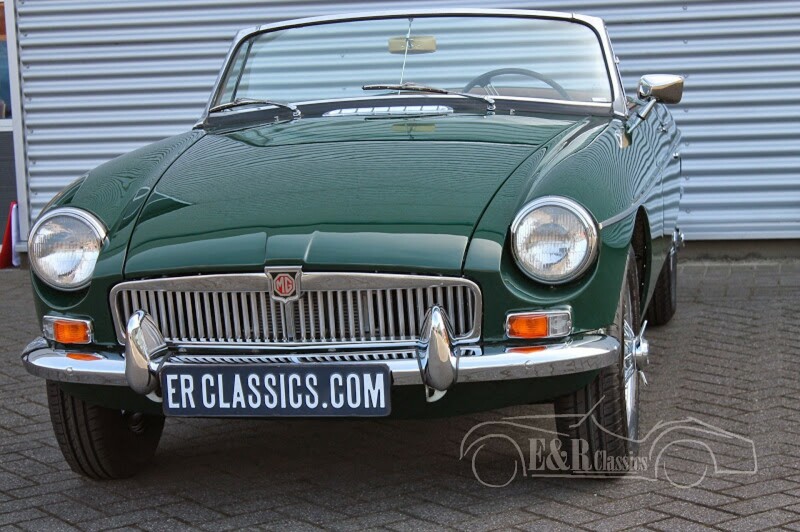 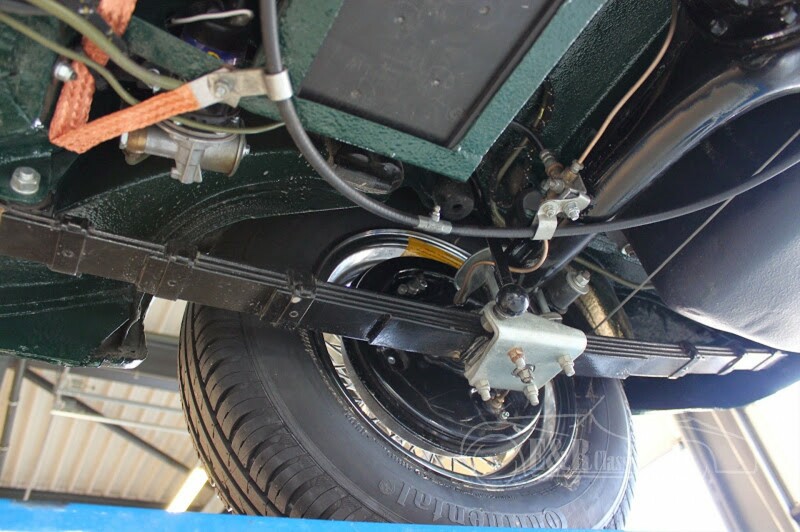 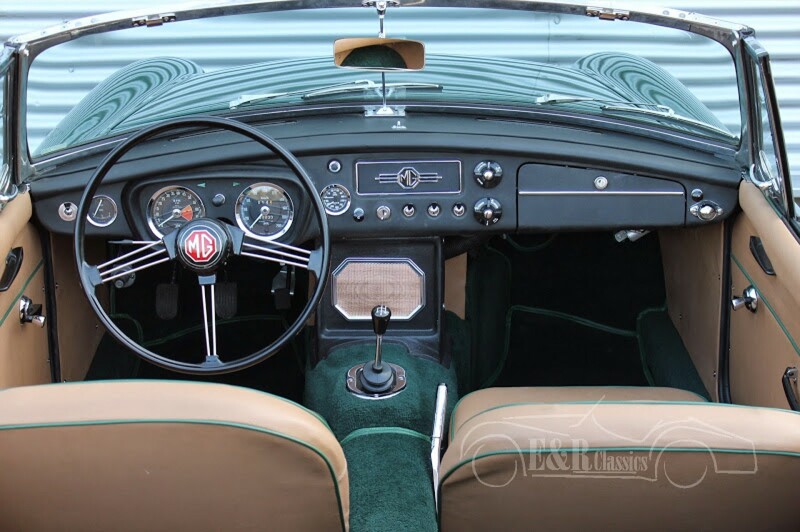 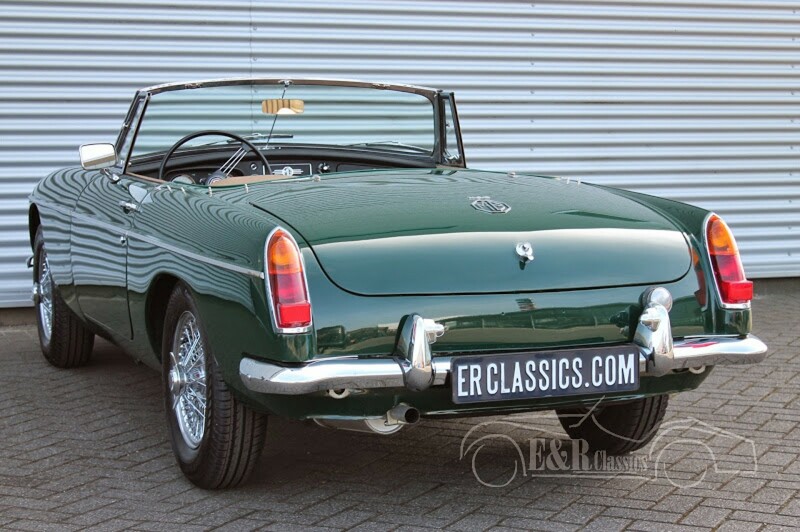 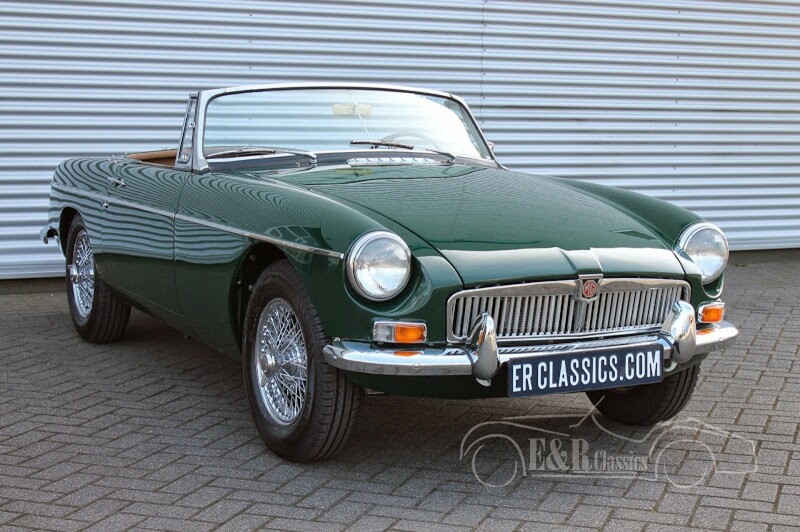 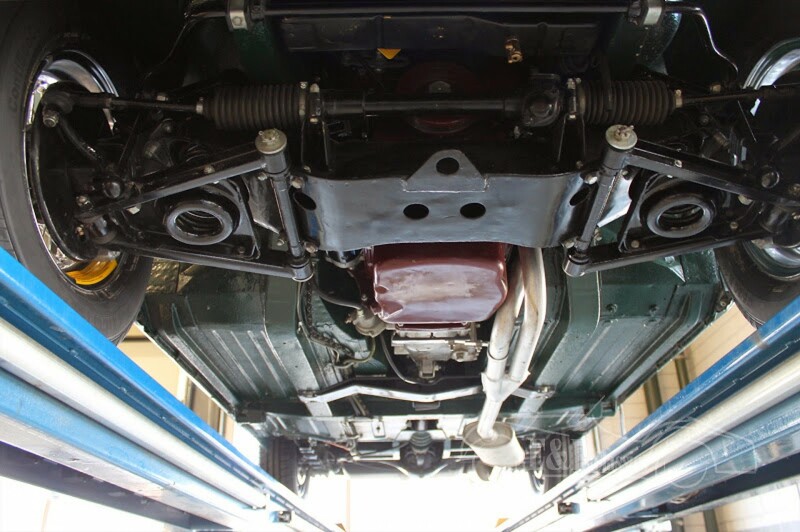 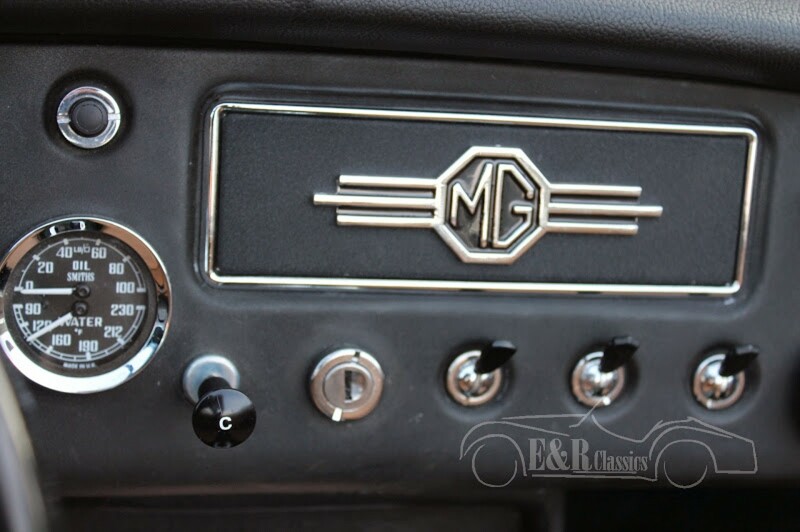 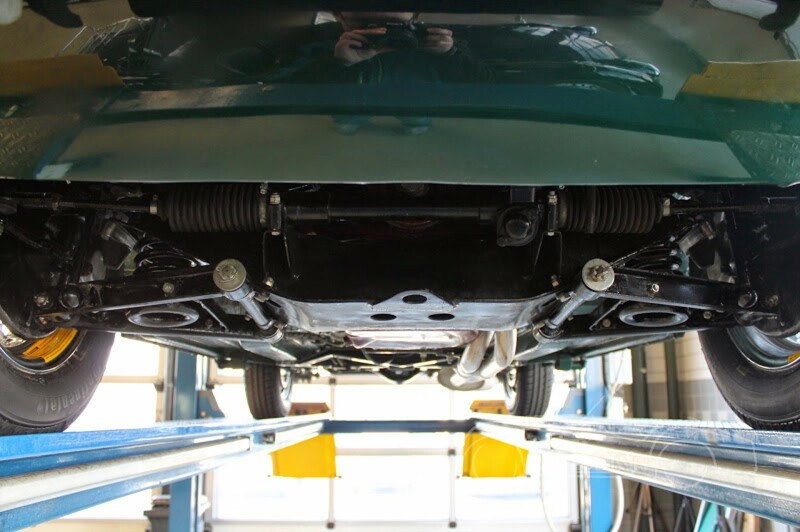 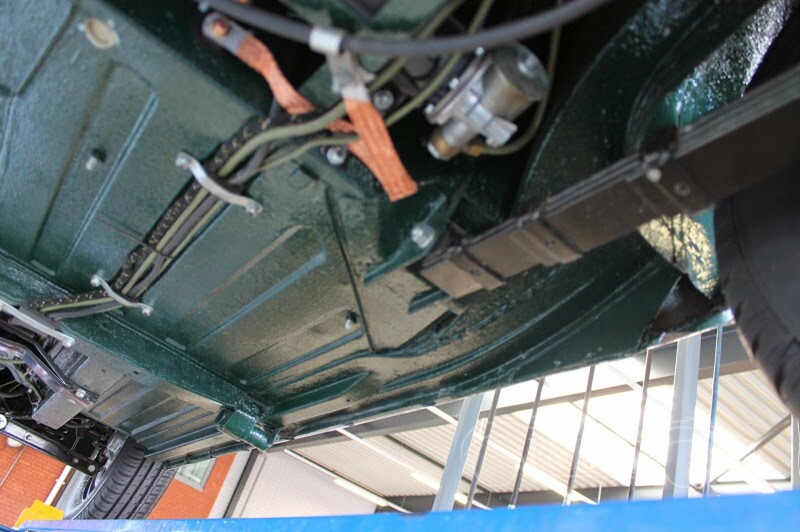 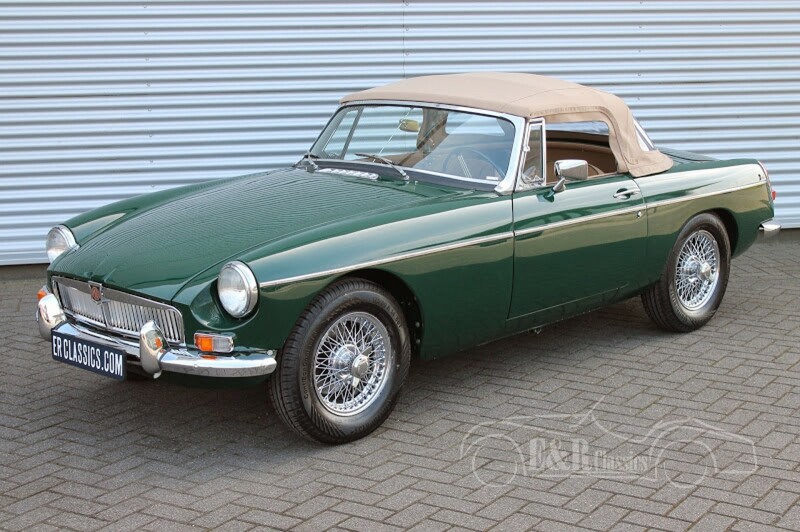 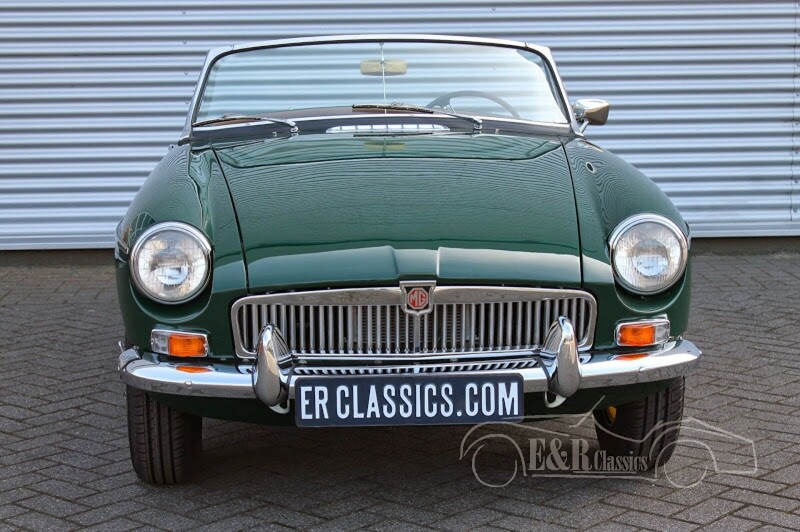 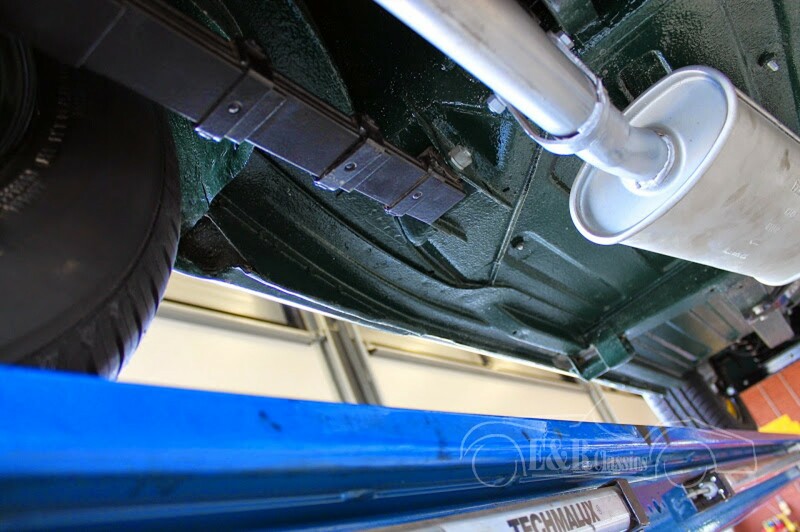 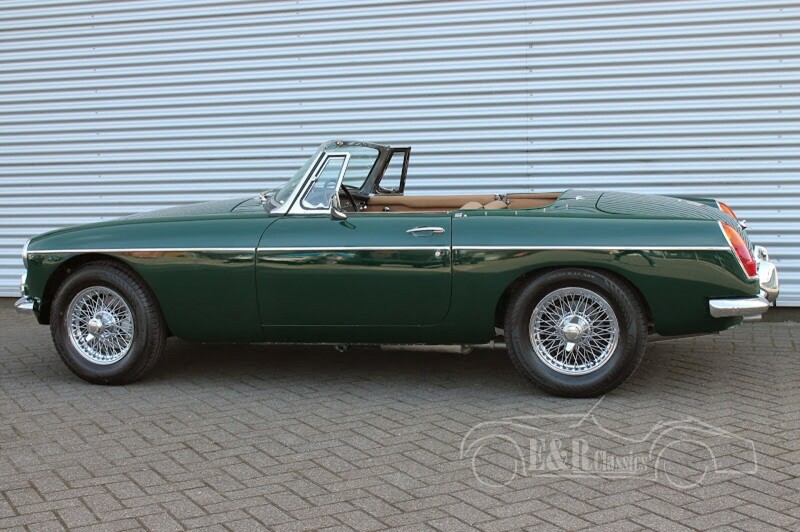 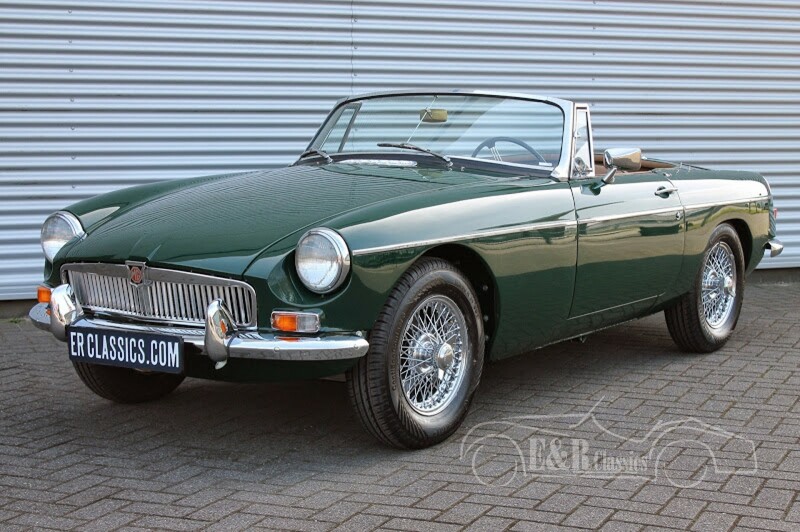 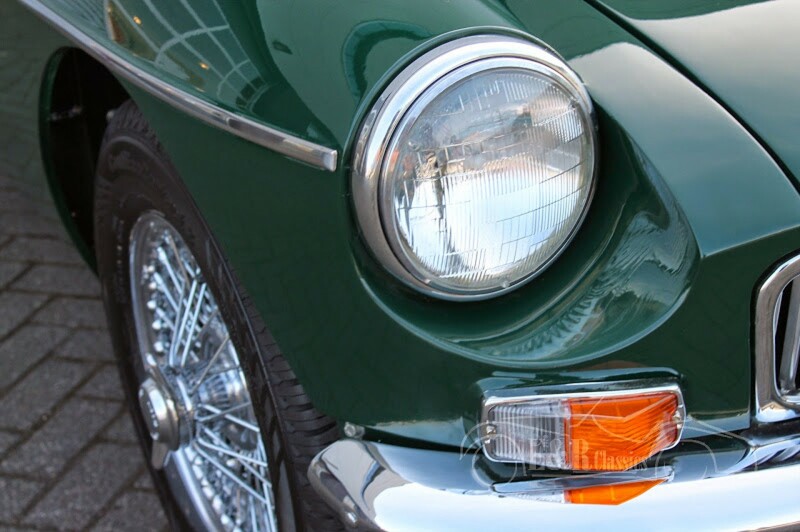 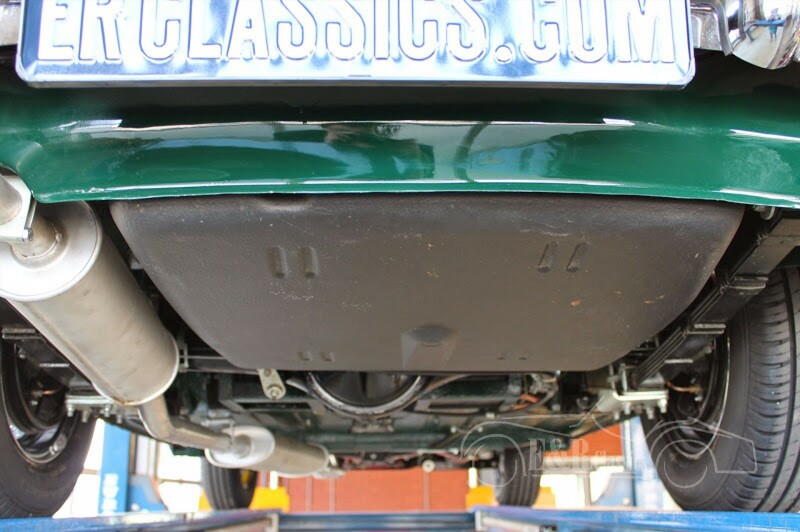 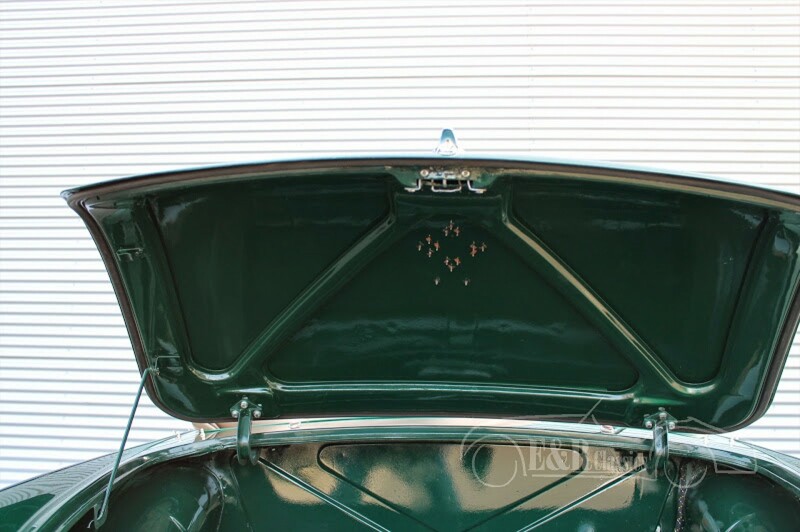 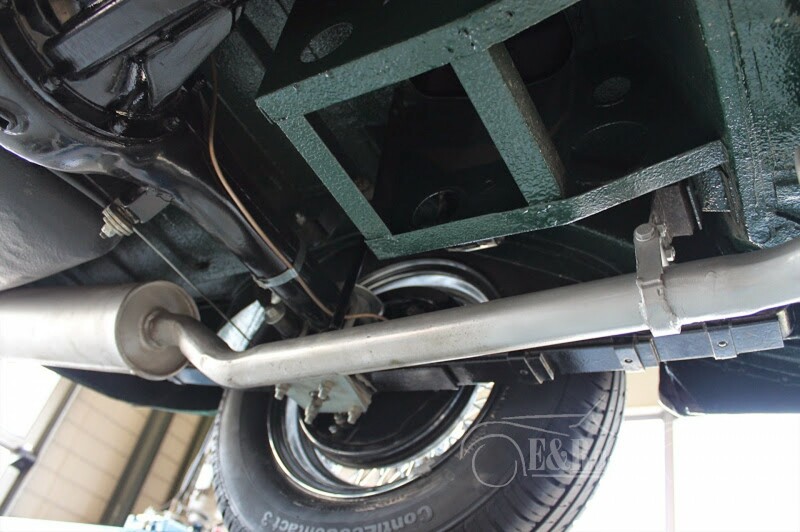 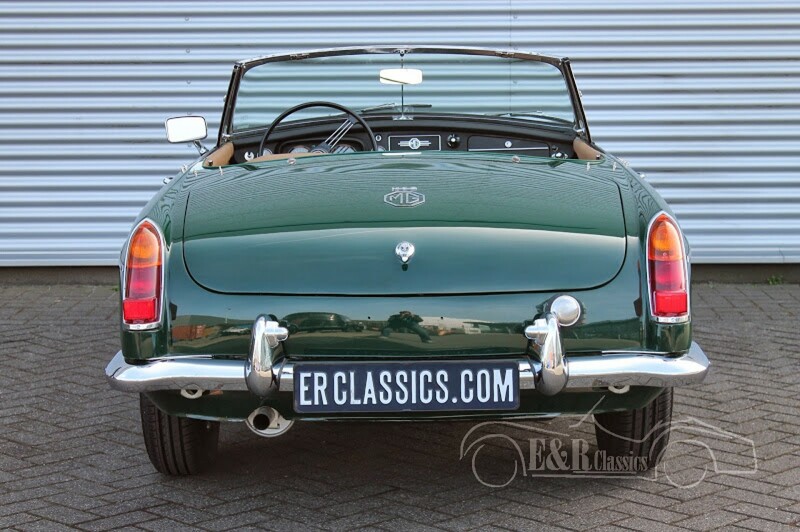 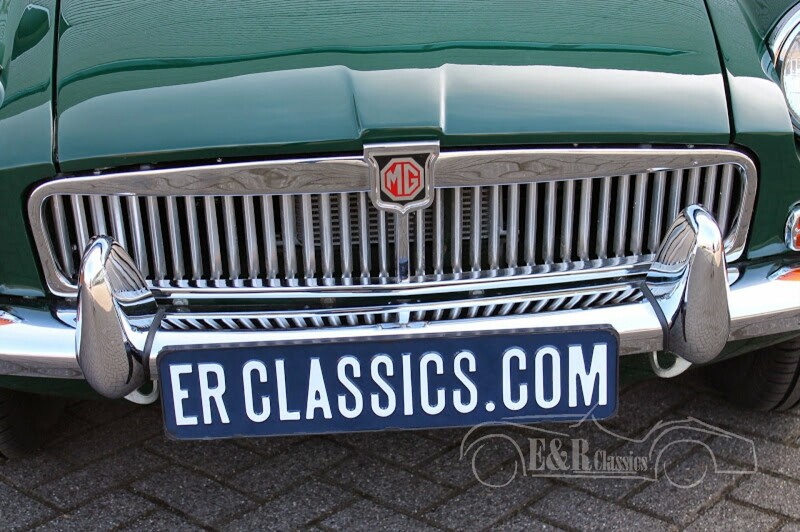 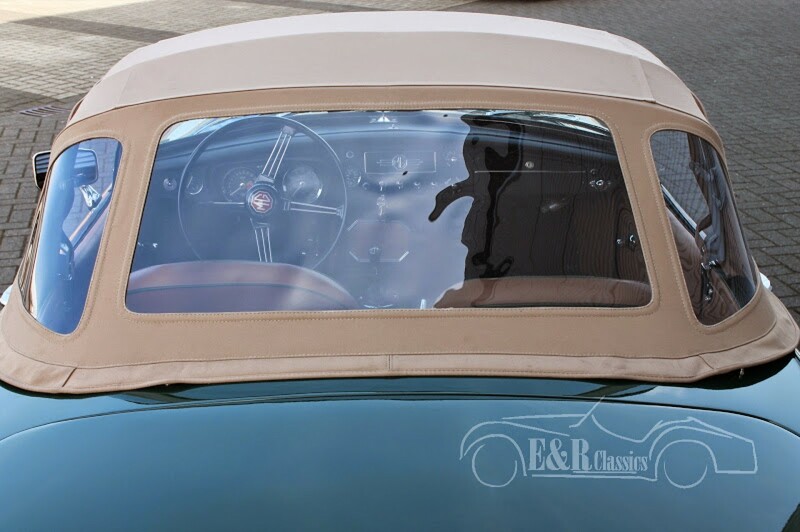 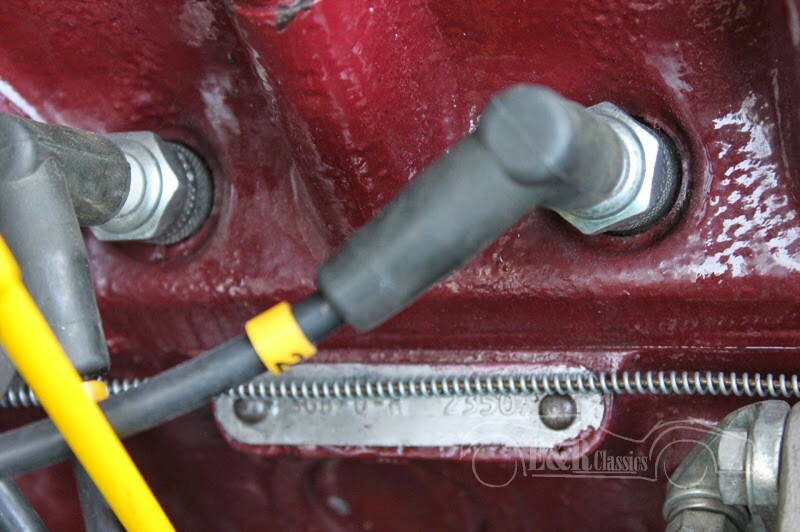 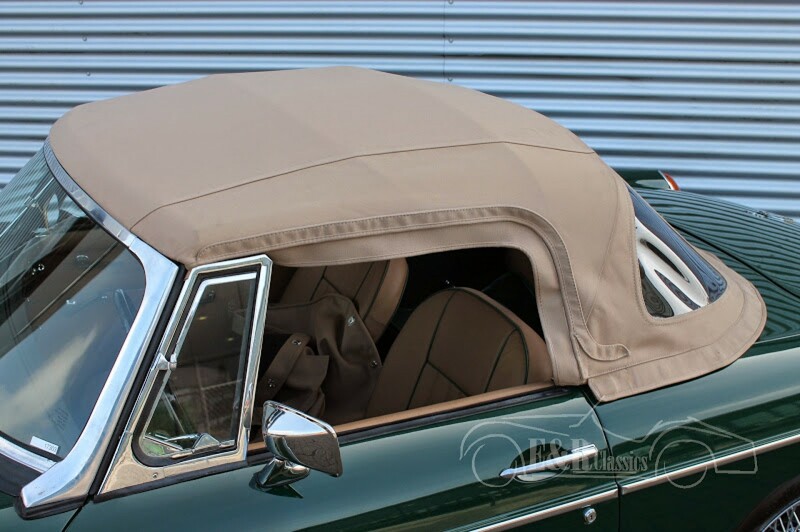 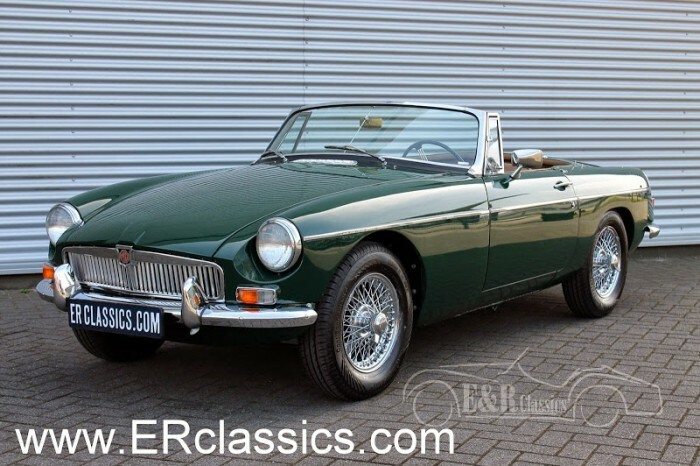 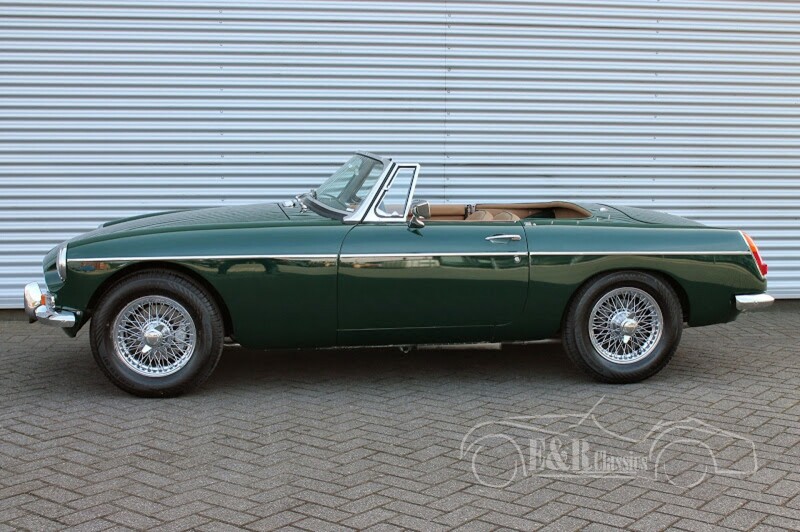 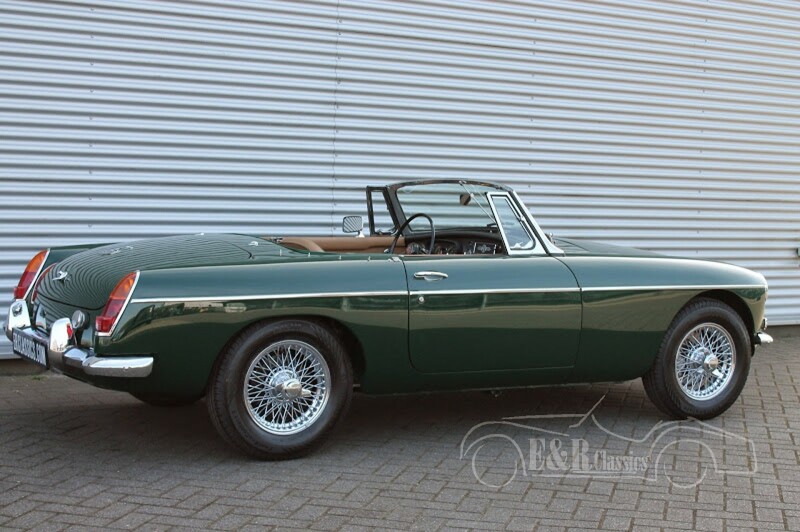 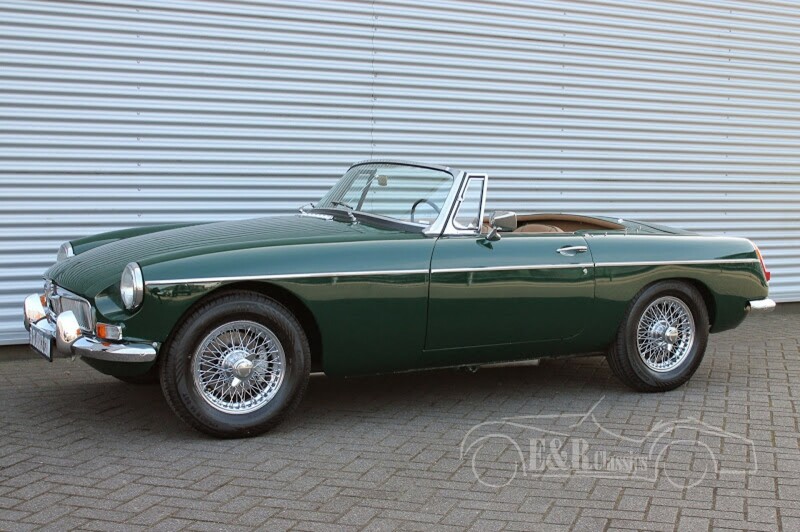 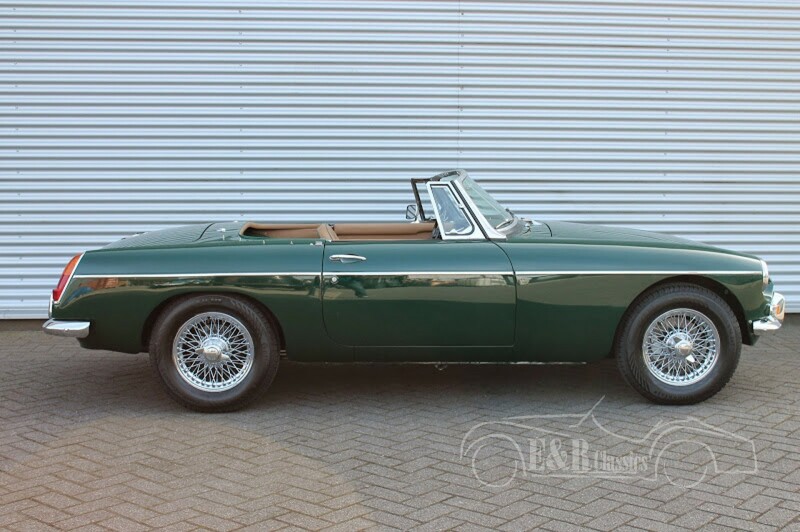 This 1967 MGB convertible is fully restored by us in 2014 and is in top condition because of that. 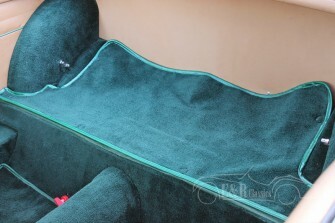 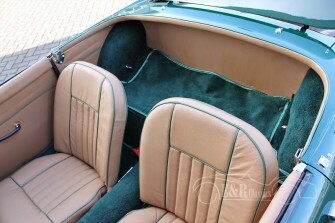 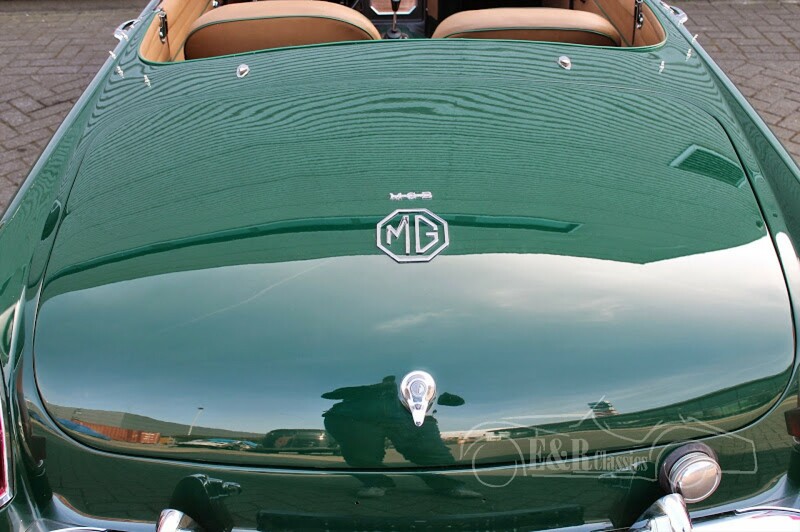 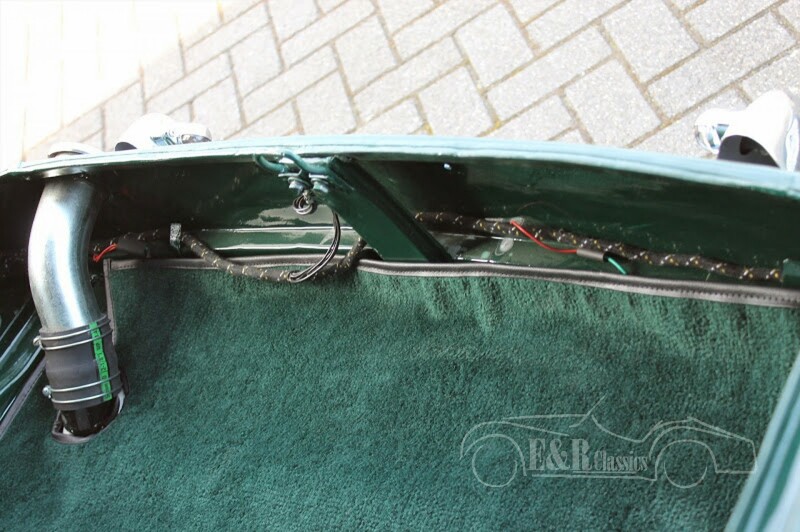 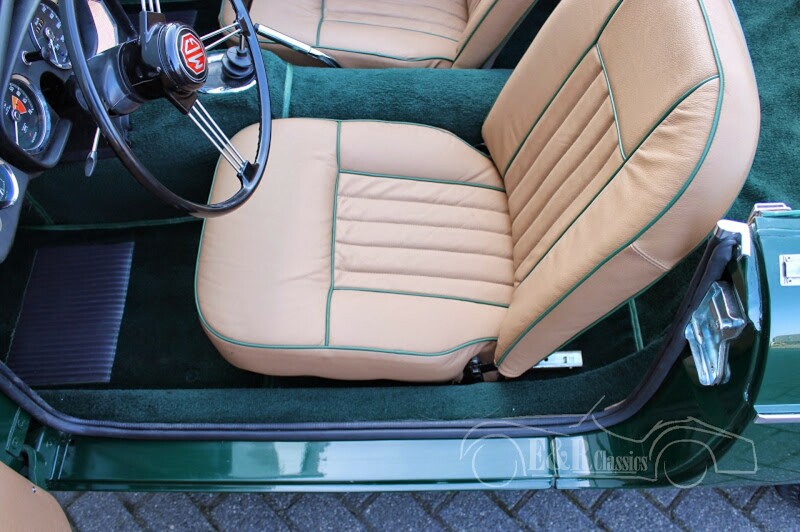 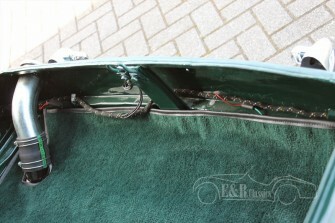 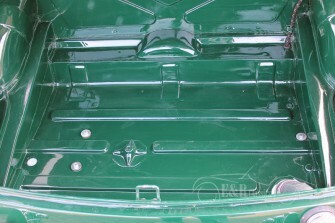 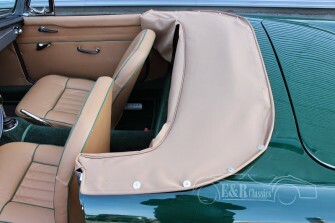 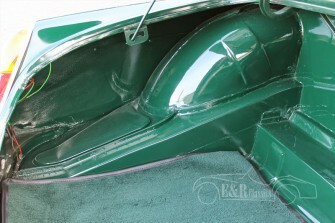 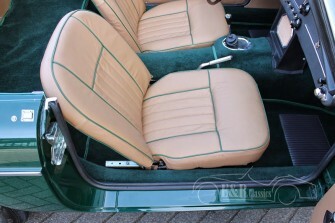 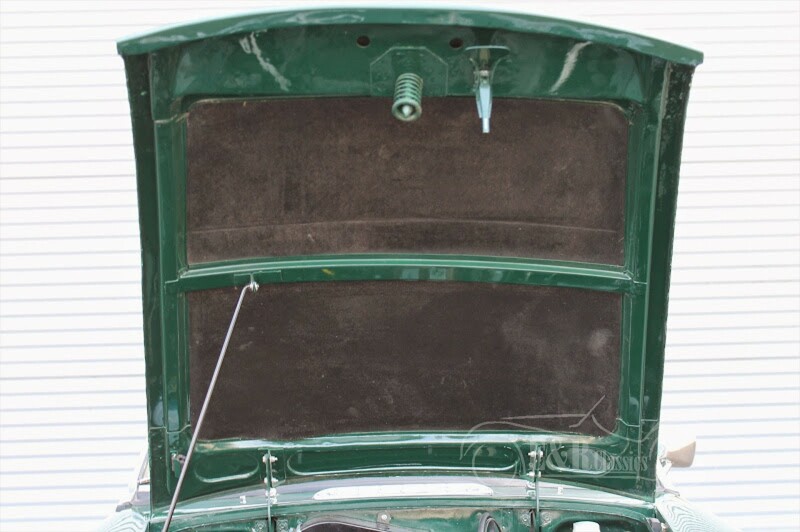 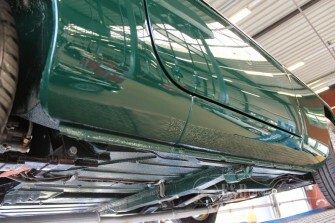 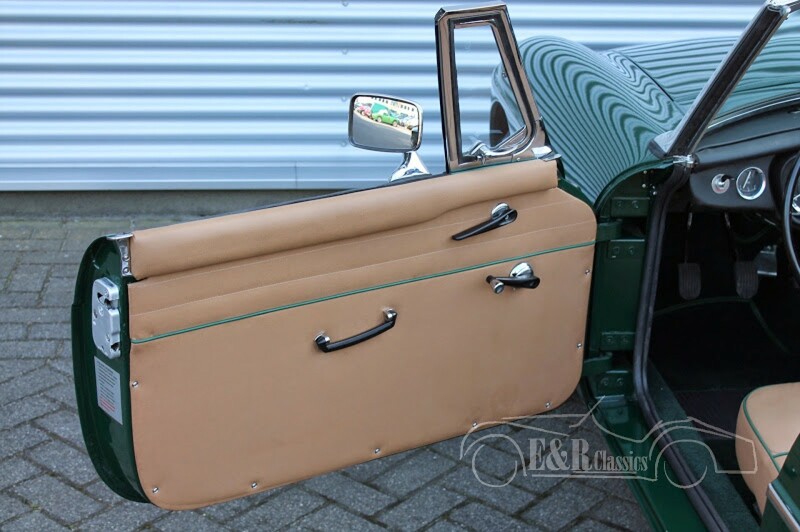 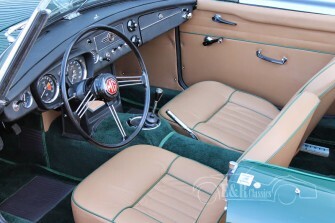 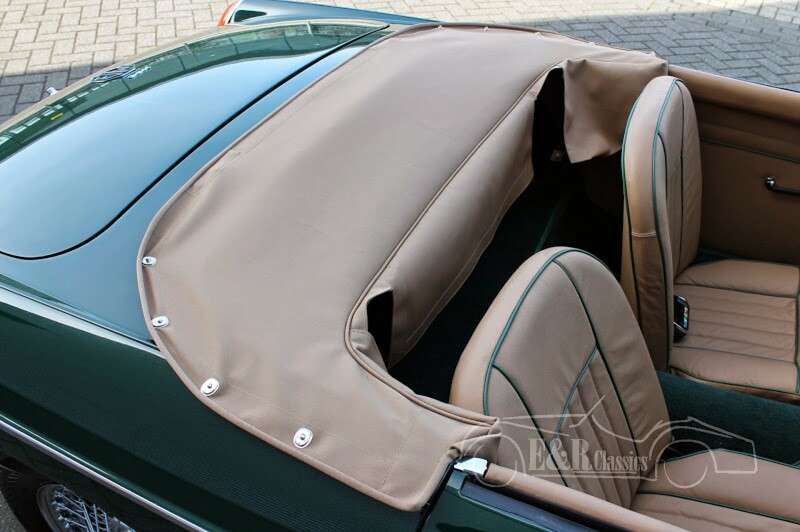 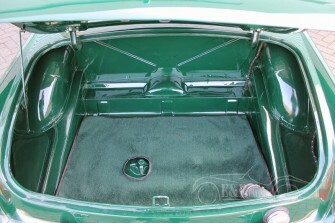 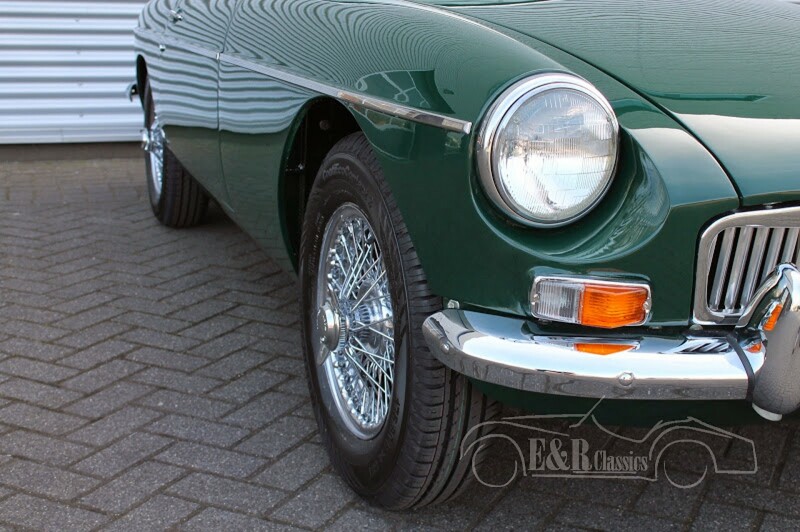 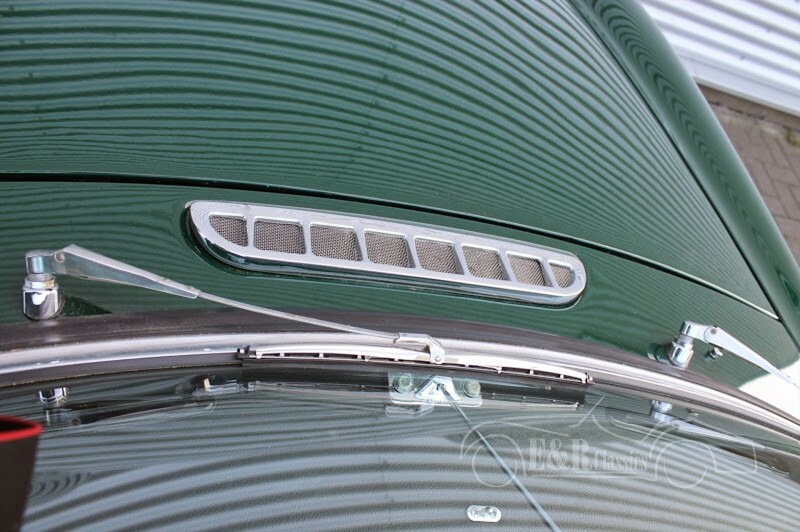 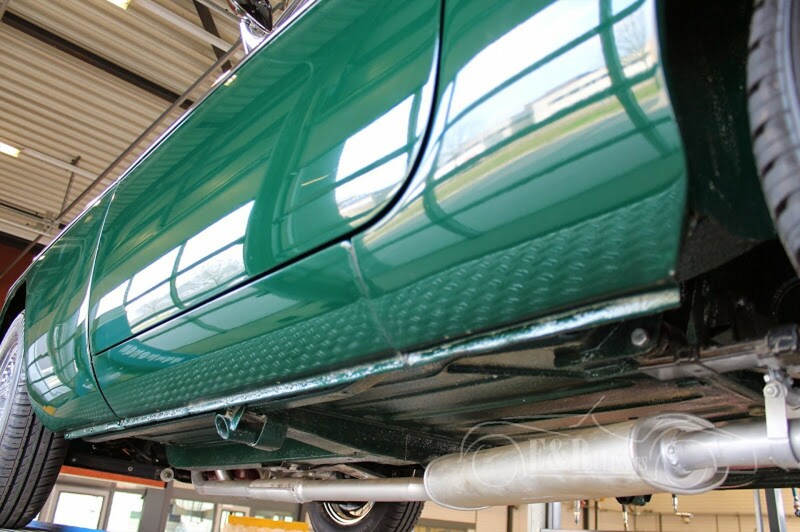 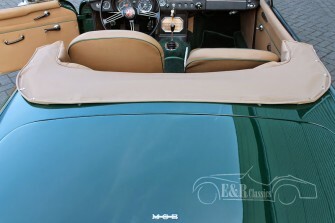 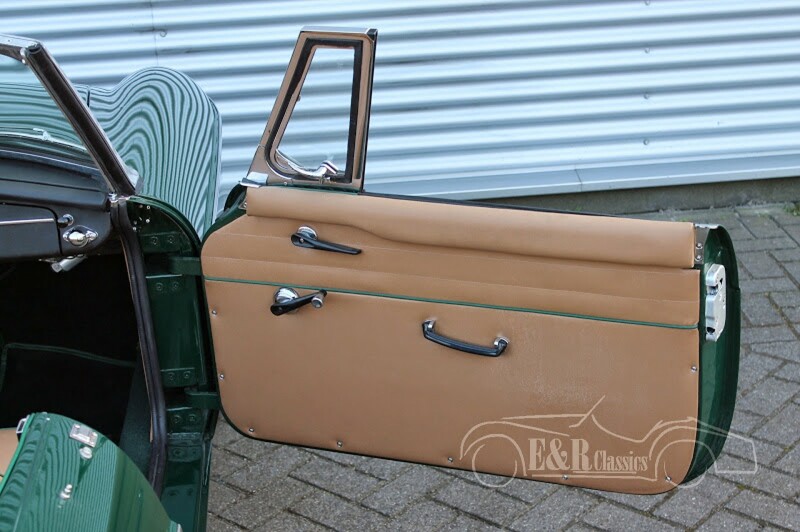 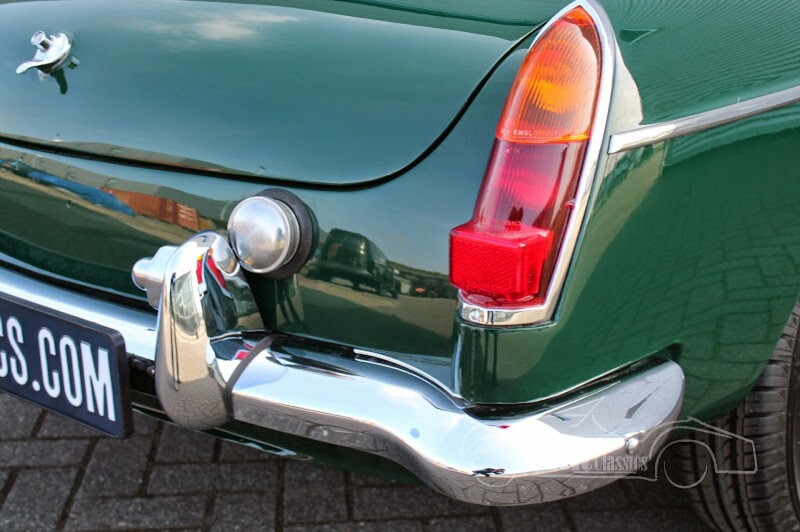 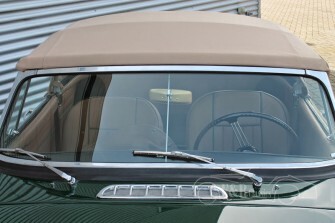 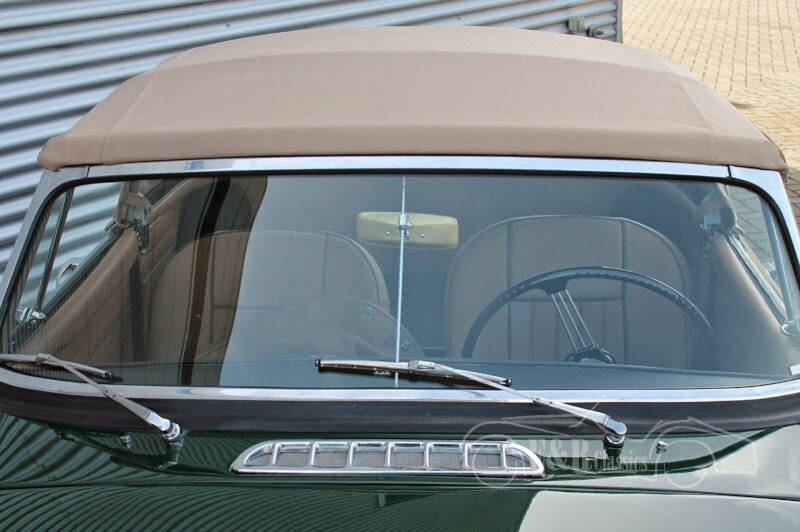 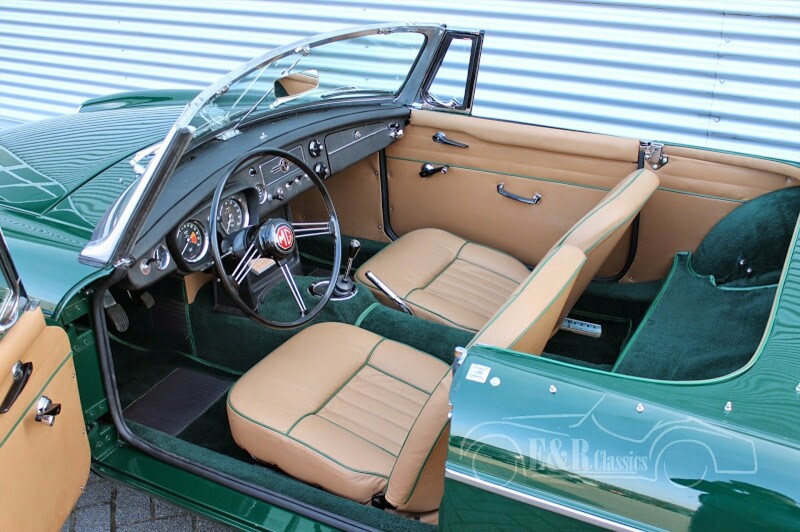 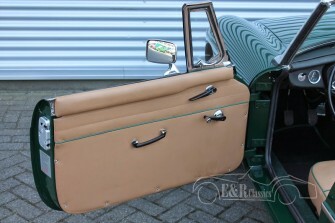 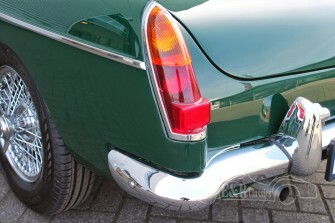 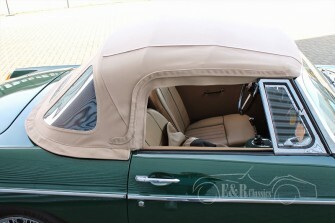 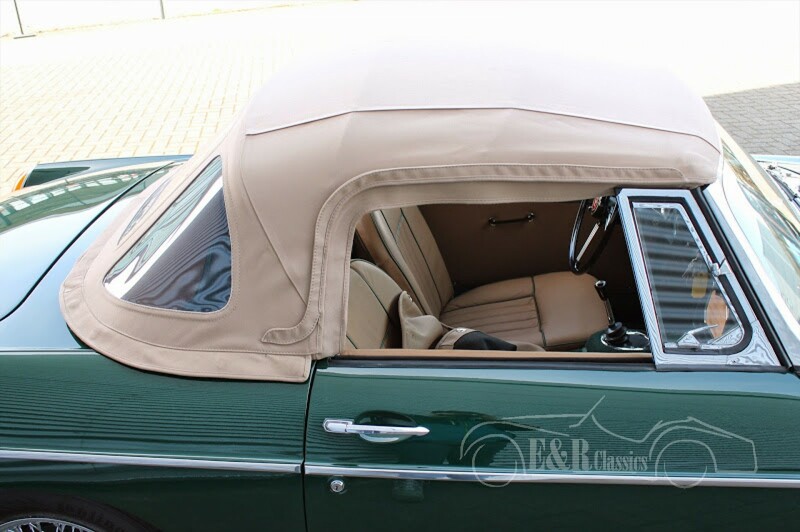 The colour British Racing Green is a beautiful combination with the leather interior with green piping. 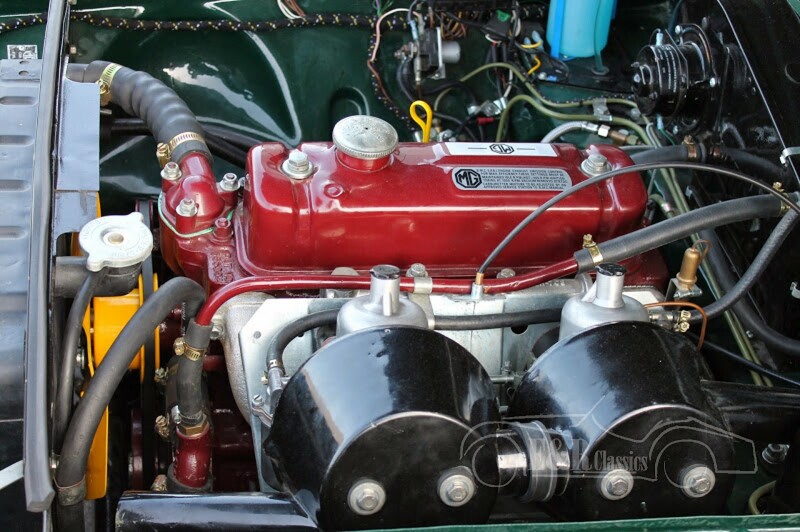 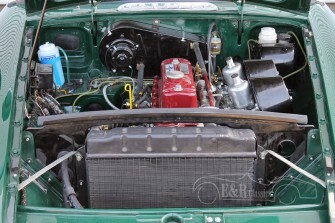 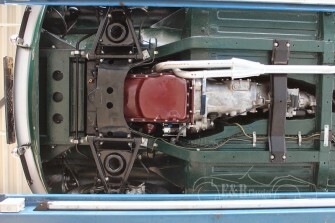 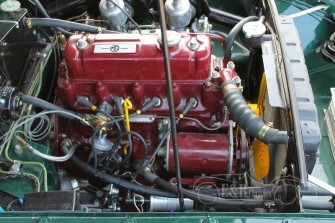 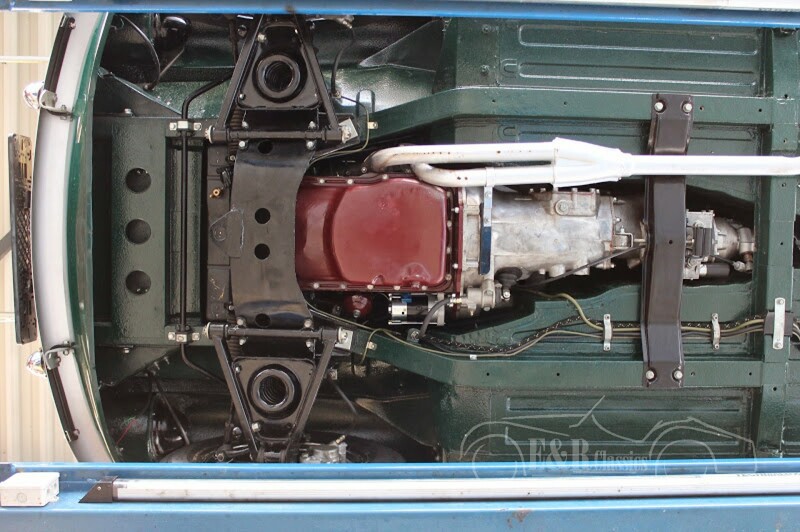 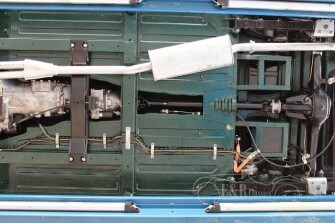 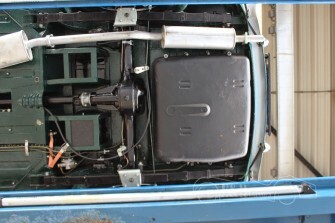 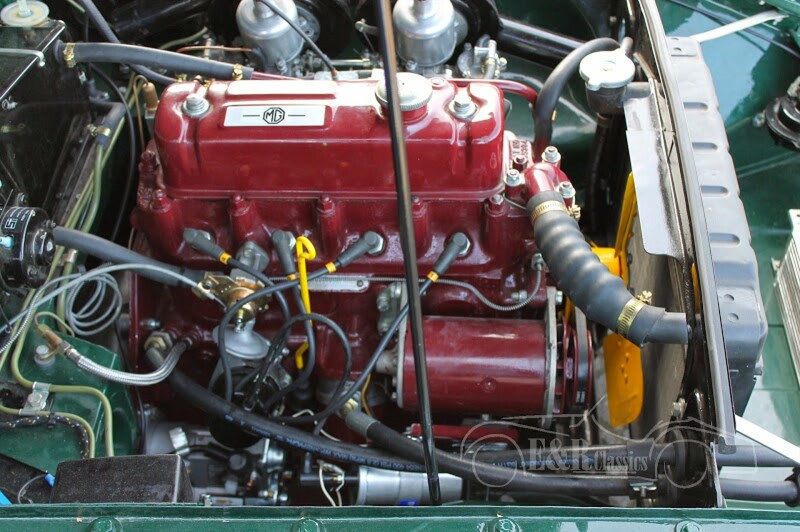 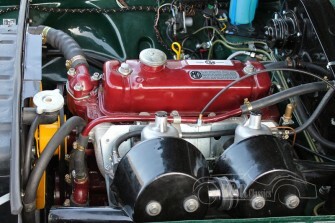 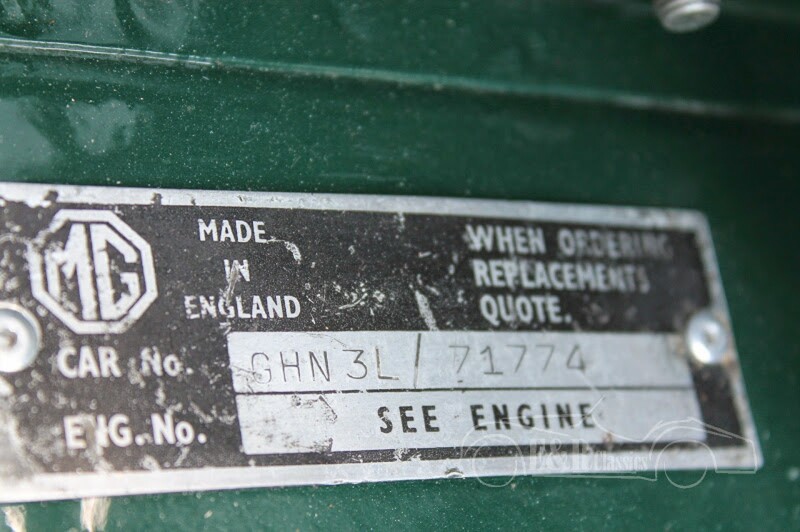 The fully revised 1798 cc engine with 96 hp is in top condition obviously. 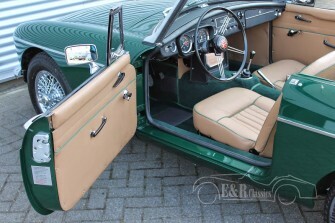 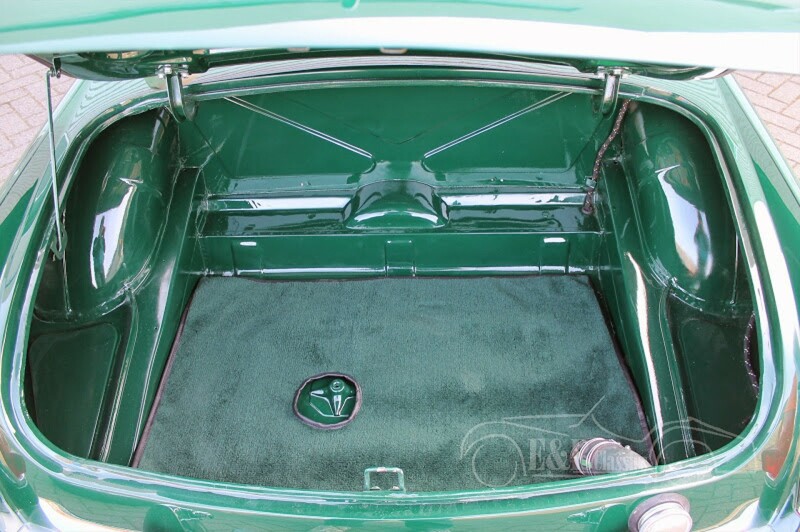 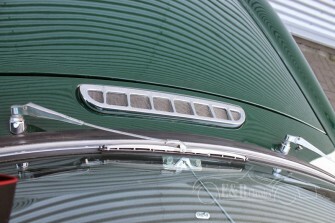 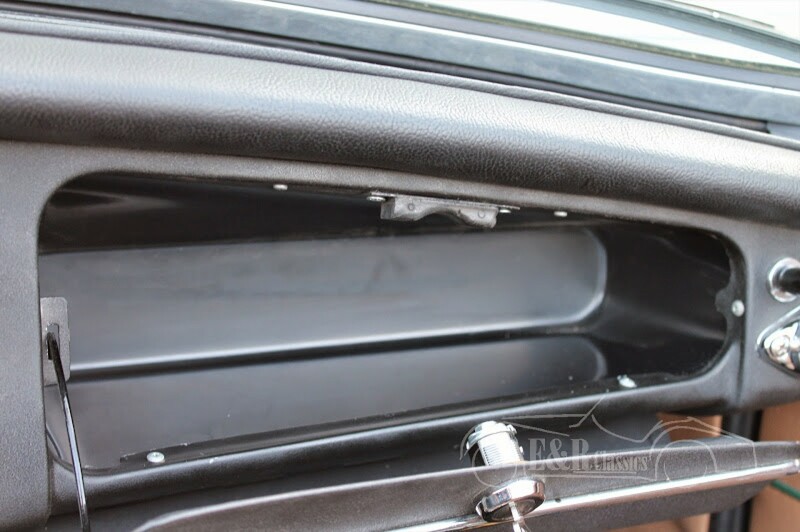 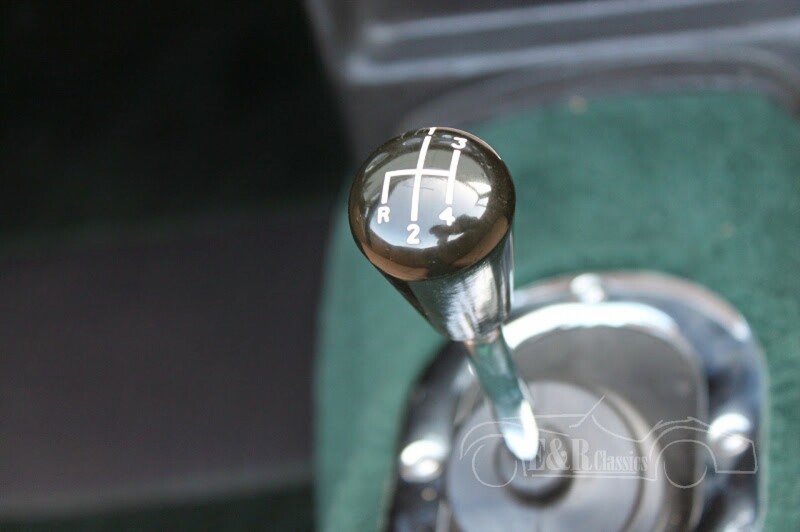 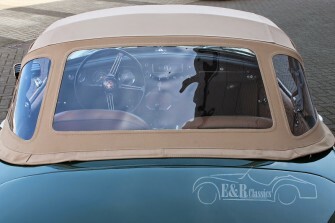 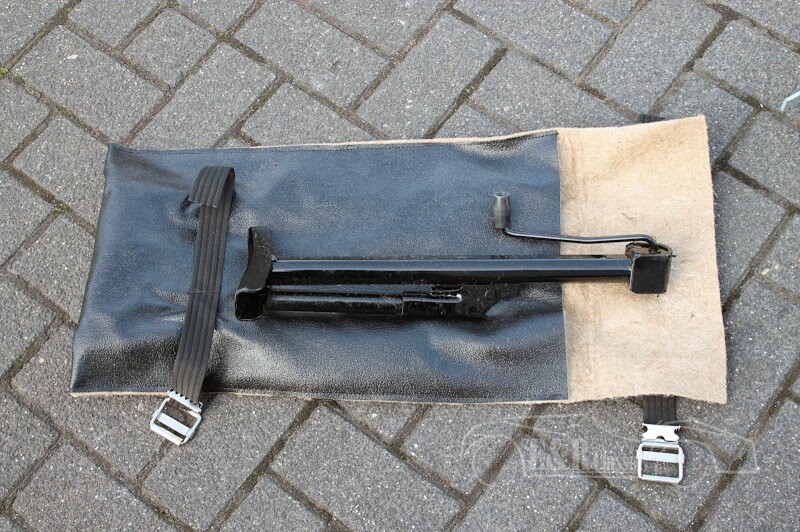 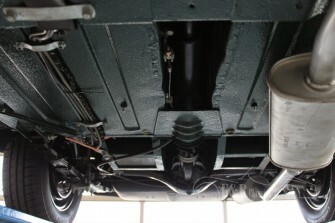 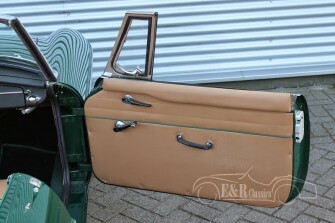 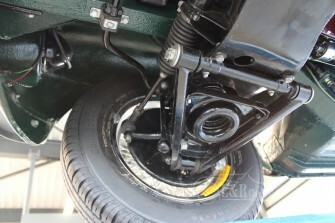 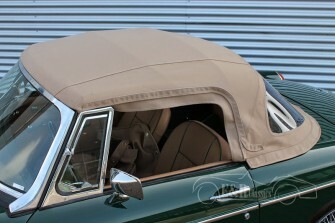 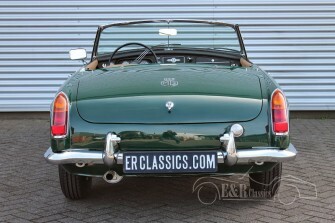 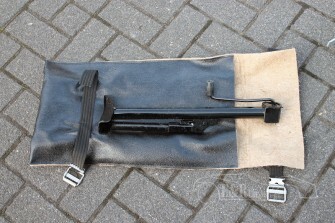 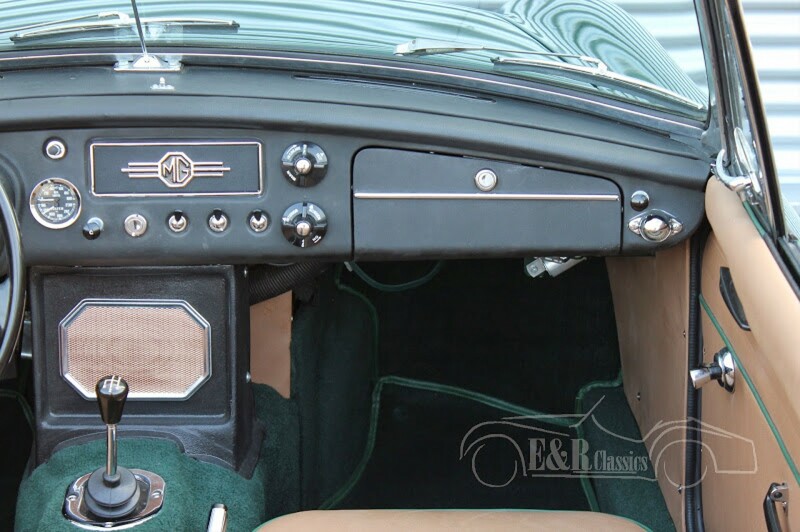 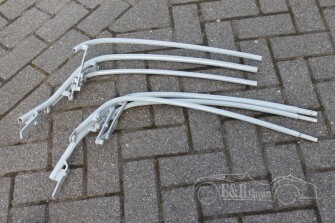 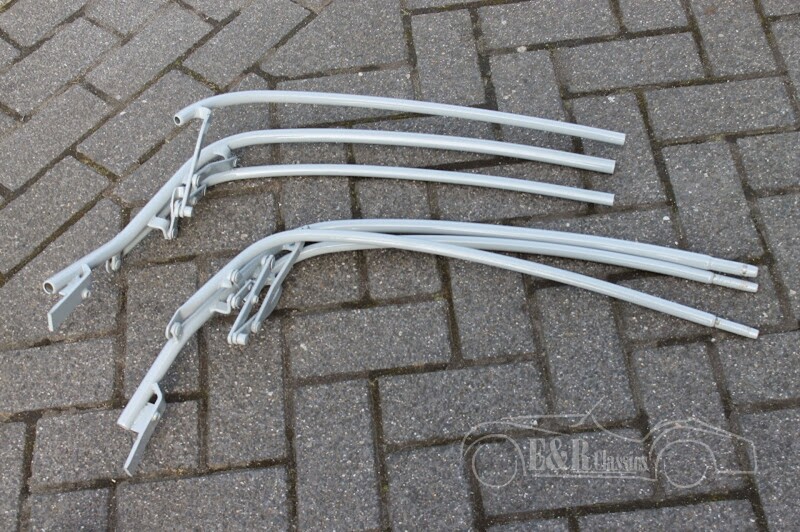 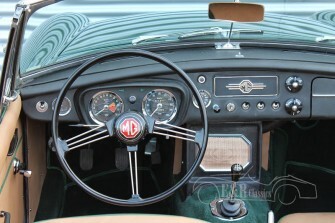 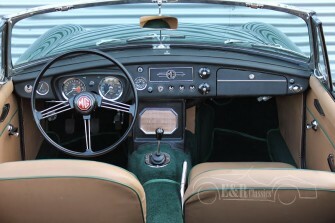 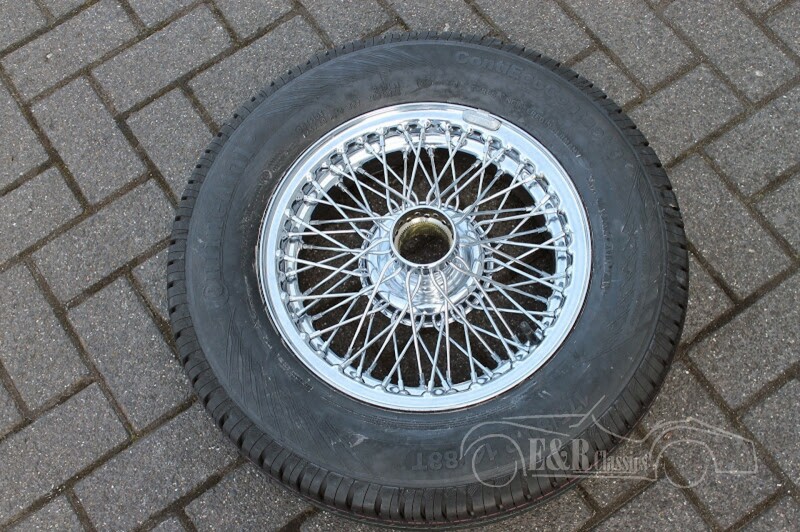 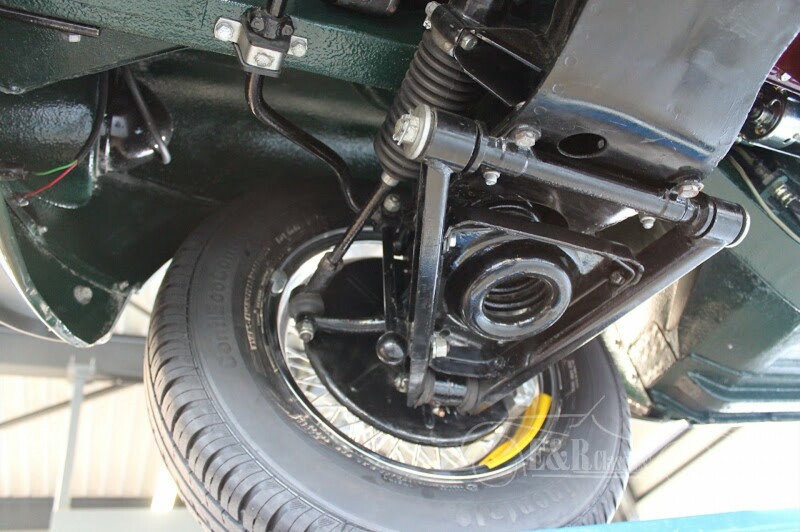 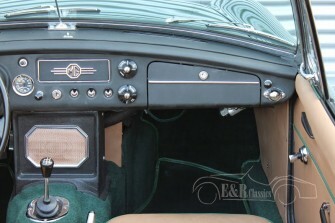 The car has overdrive, chrome wire wheels, leather interior and mohair softtop. 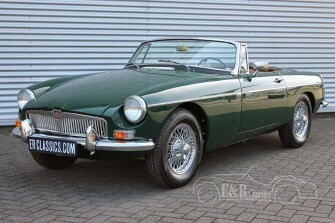 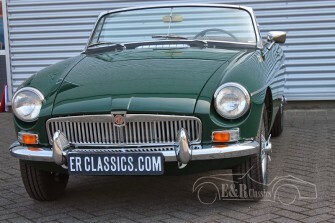 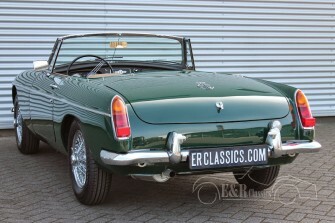 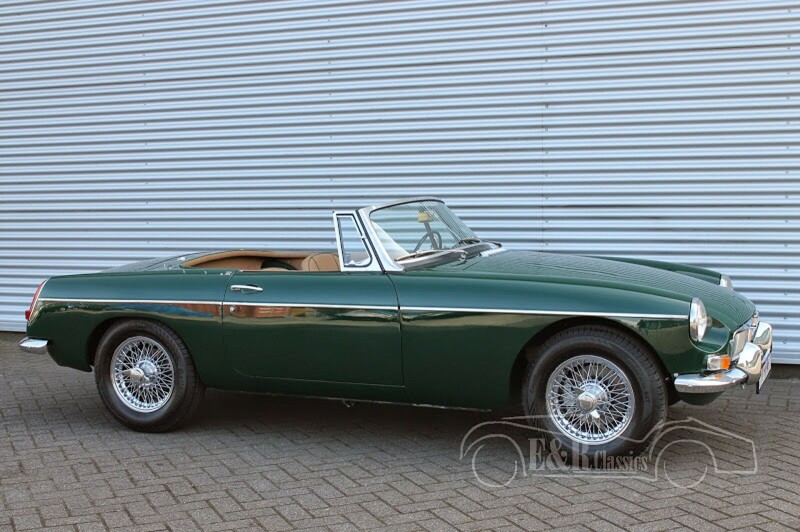 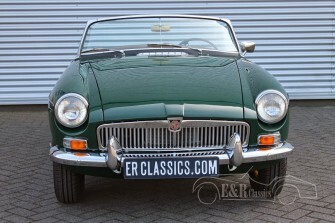 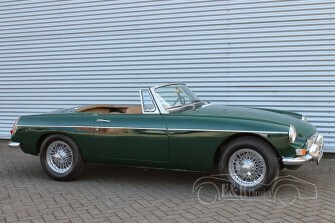 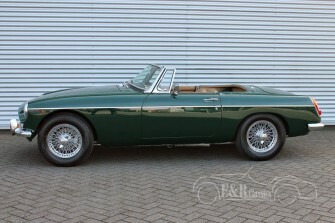 Everything of this MGB is restored which makes it one of the most beautiful MGB’s you come across nowadays. Complete photo report of the restoration is available. 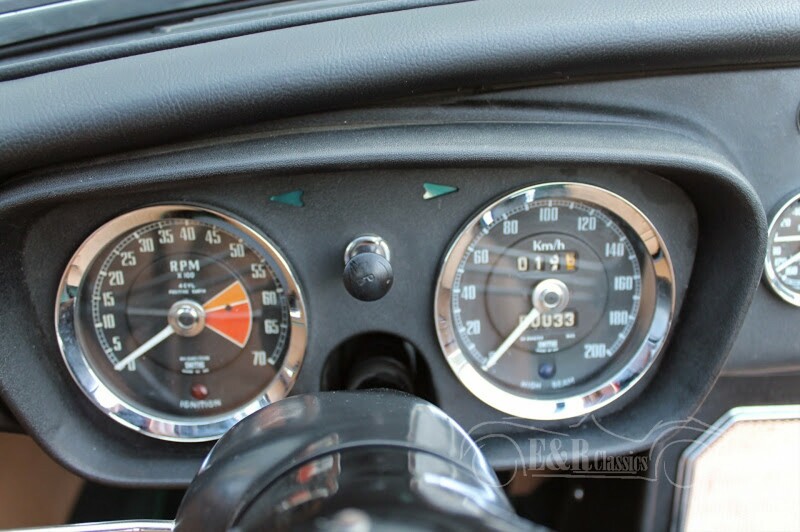 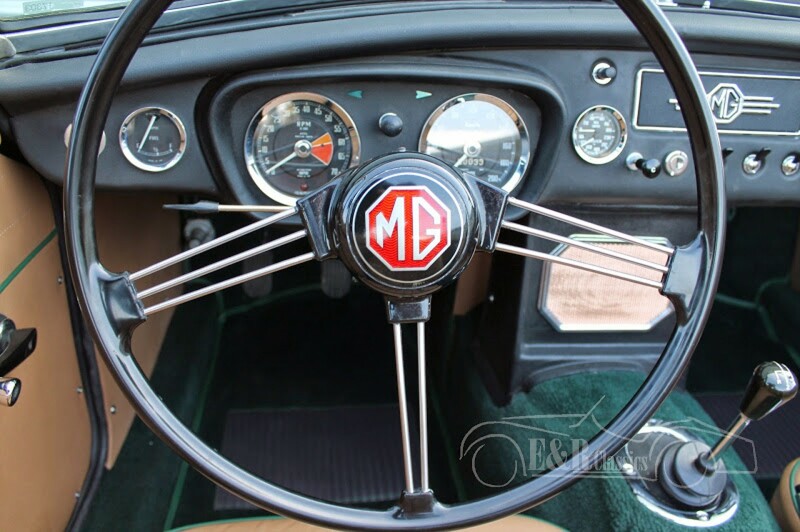 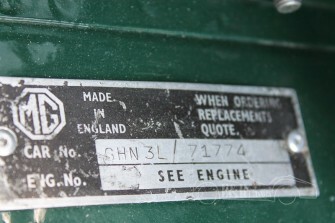 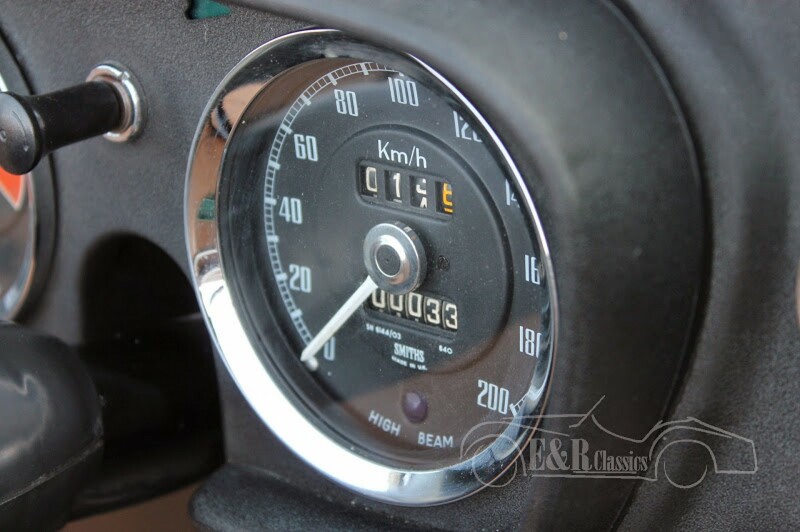 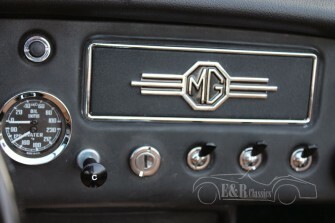 This MGB has driven 50 km after restoration.